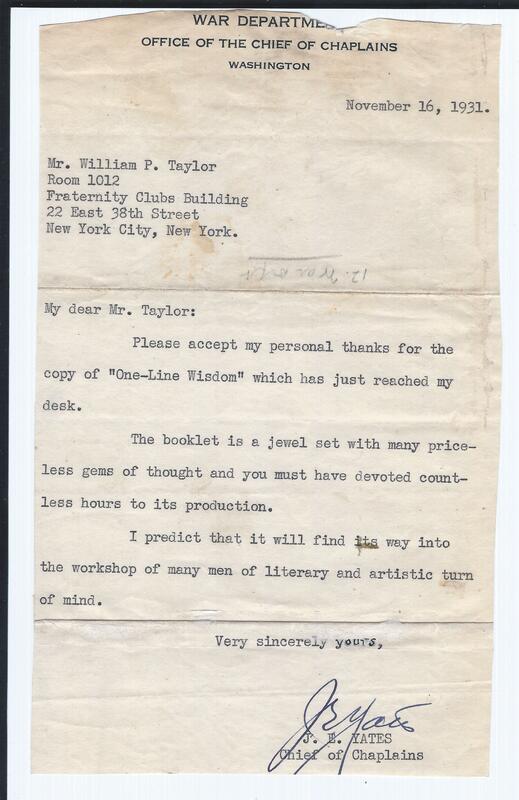 Letter signed by Julian E. Yates while he was Army Chief of Chaplains (Dec 1929-Dec 1933) (author’s collection). 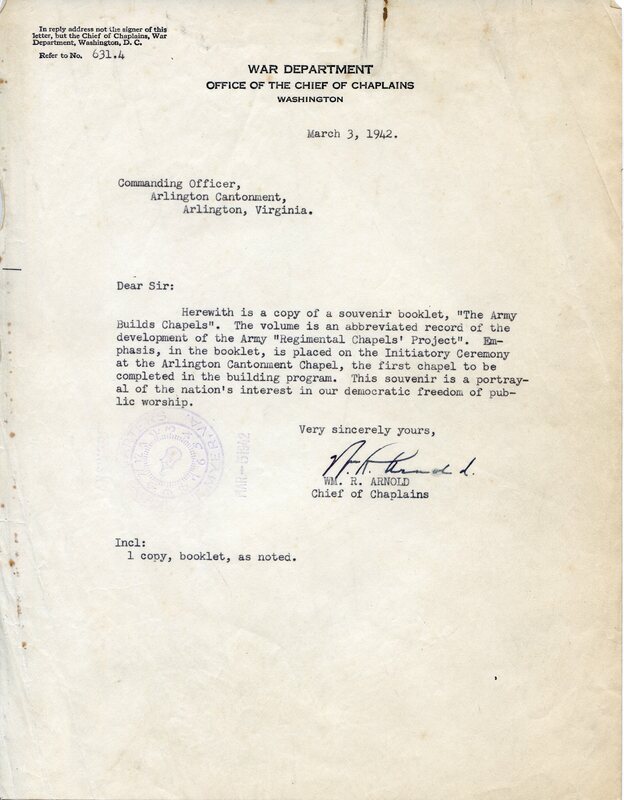 Letter signed by Chaplain William R. Arnold, while the Army Chief of Chaplains (Dec 1937 – Feb 1945) (formerly in the author’s collection). Certificate given to First Lutheran Church of Yuba City & Maryville, CA for the “loan” of Chaplain Victor F. Halboth during WW2, signed by Chaplain Wm. R. Arnold, Chief of Chaplains (Dec 1935-Feb 1945), on 3 December 1943 (author’s collection). 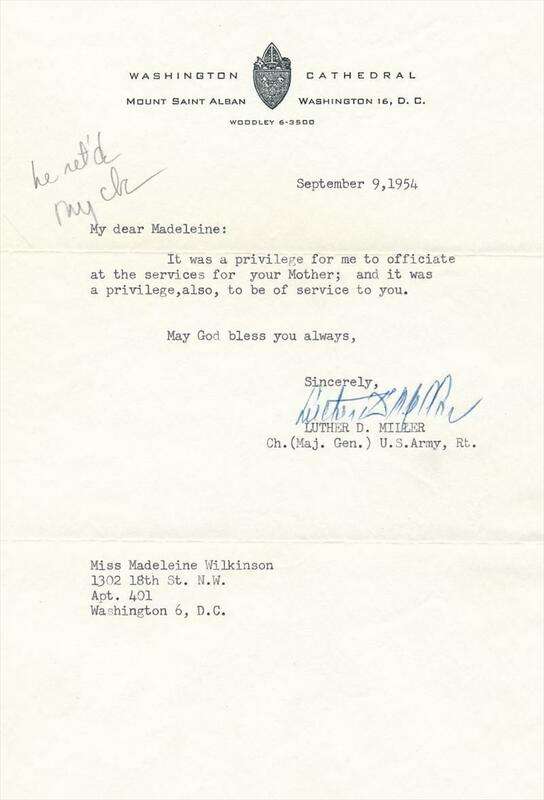 Letter signed 9 SEP 1954 by Chaplain (MG) Luther D. Miller (Ret), Army Chief of Chaplains 1945-1949 (author’s collection). 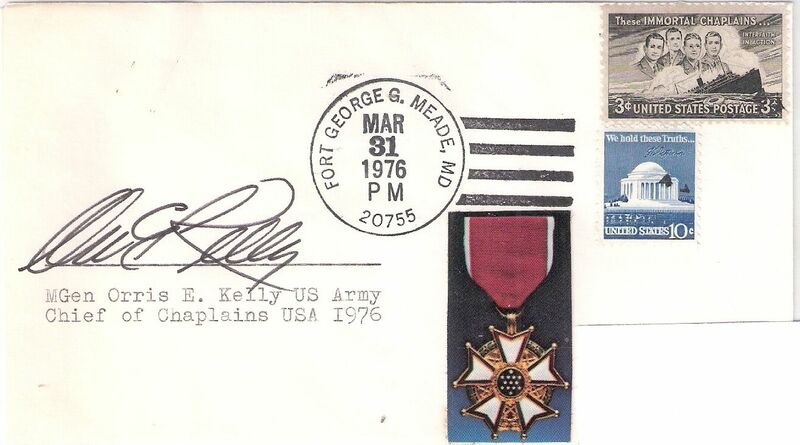 Book authored and signed by Chaplain (MG) Patrick Ryan, Chief of Chaplains 1954-1958 (author’s collection). 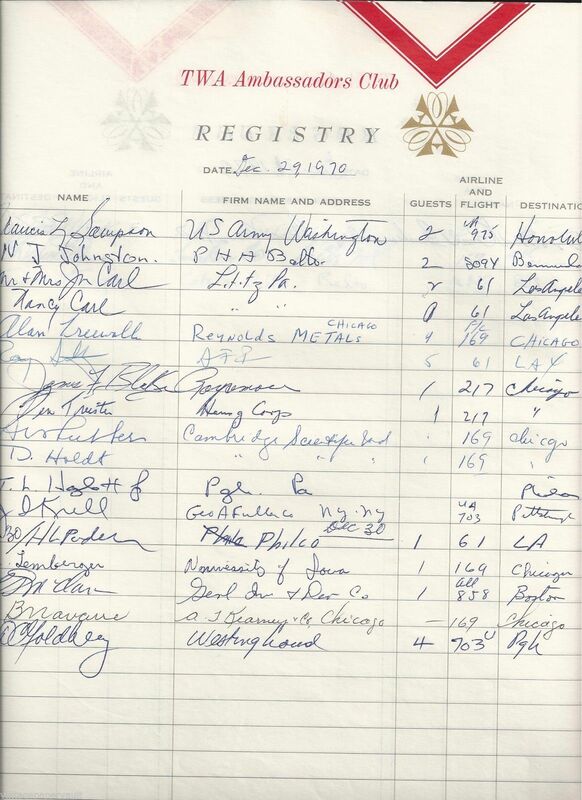 Training certificate signed by Charles E. Brown, Jr., Chief of Chaplains 1 November 1962 – 31 July 1967 (author’s collection). 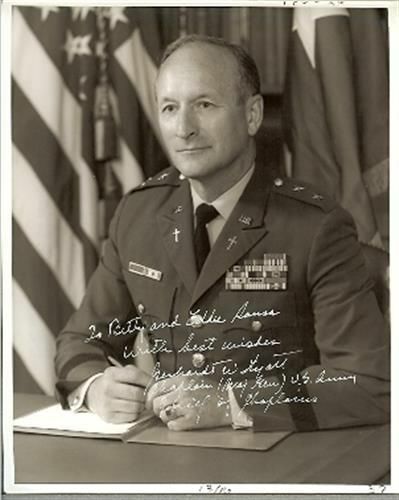 Signed photo of Chaplain (MG) Gerhardt W. Hyatt, Chief of Chaplains 1971-1975 (author’s collection). 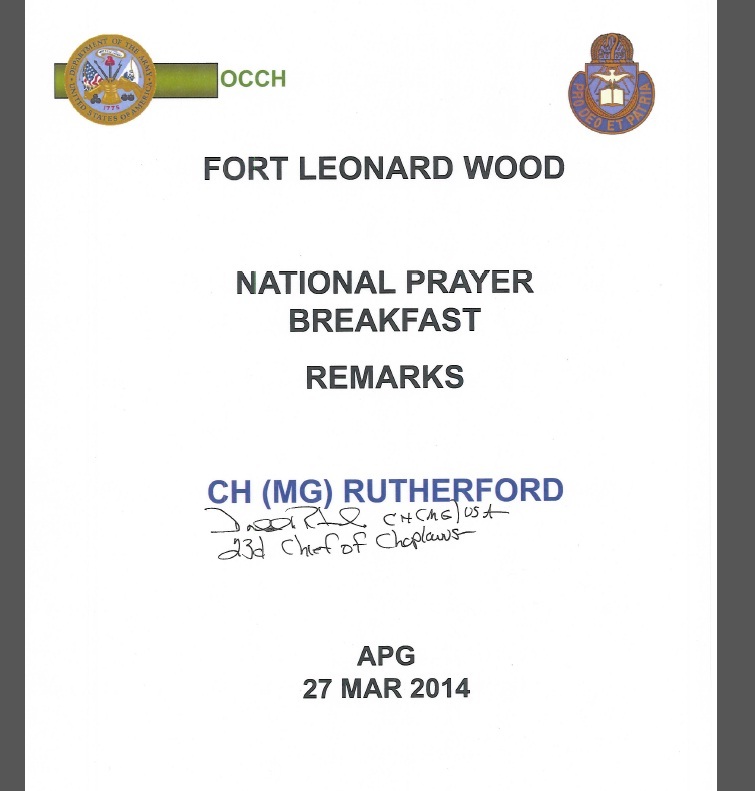 Signed manuscript of Chaplain (MG) Donald Rutherford’s remarks at the Fort Leonard Wood, MO, National Prayer Breakfast, 27 Mar 2014. Chaplain Rutherford was the Chief 2011-2015. (author’s collection).